The compact Roav Bluetooth receiver modernized my old (but very good) Bose Companion 2 Series II Powered Speakers in the kitchen via a simple to pair Bluetooth connection. Comes with a 2-1 Micro USB cable /3.5mm AUX audio cable, self adhesive Velcro and User Manual. As soon as you supply power to the device, it goes into pairing mode (red & blue light flashing). Search for "Roav B2" and pair with your Bluetooth device. Connect the AUX audio cable to powered speakers or the AUX input of your car radio or AUX input in a home AV receiver. 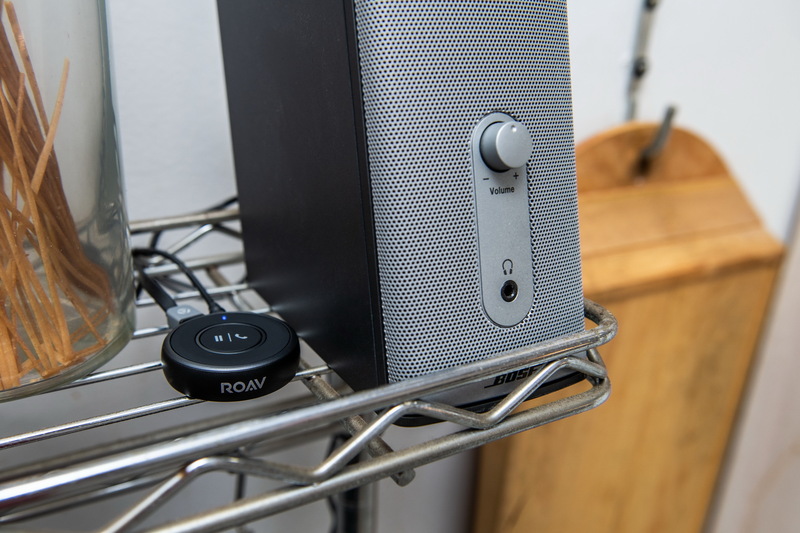 Once paired, the Roav Bluetooth Receiver will remember your device and reconnect when it's powered on again. Music and phone call audio is loud and clear. There's a Pause/Play/Answer/End Call button and built-in microphone. Personally, I prefer Bluetooth devices that support the aptX low-latency codec. The Roav doesn't support aptX, yet the sound is still very good for a Bluetooth receiver this size. The unit is 1 7/8" in diameter and 5/8" in height. I'd recommend the Roav Bluetooth Receiver to add Bluetooth 4.1 support to your powered speakers, A/V receiver or car radio that doesn't support Bluetooth. I have those speakers on my computer! 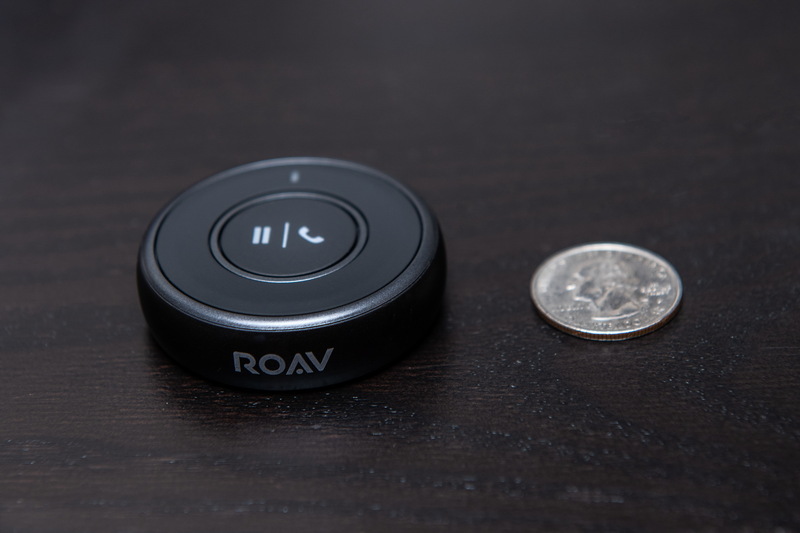 Brilliant idea to use the roav as a Bluetooth receiver. I didn’t know the roav was so small! I’ve tried the same with a echo mini but my house is to small and I already have a echo in the main area. I might however be doing this to my new infinity mini sound bar, and my old echo. As the sound bar mini doubles as a Bluetooth speaker. Nice set up! Edit: is that a homemade oil infusion? And what’s in the black jars? I think @AnkerOfficial should hire you to take photos for the Amazon listings. No. 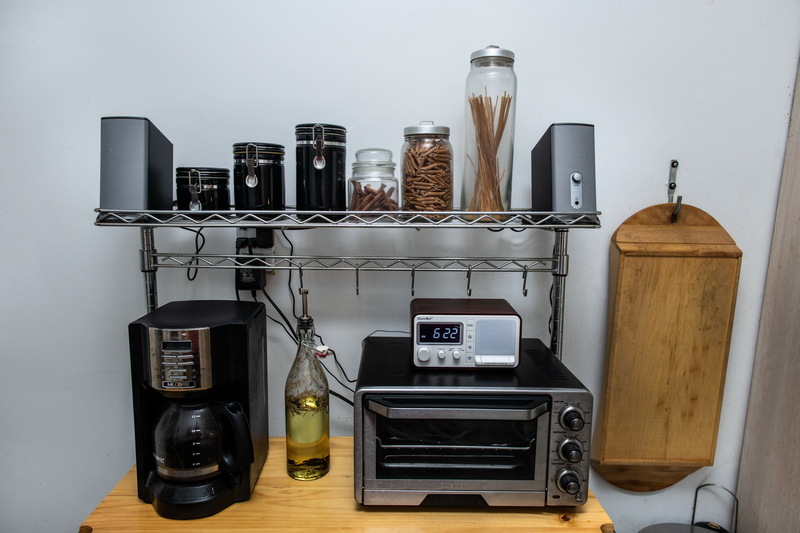 Those glass jars have pasta & cinnamon sticks and the black ceramic jars have sugar, coffee and tea.